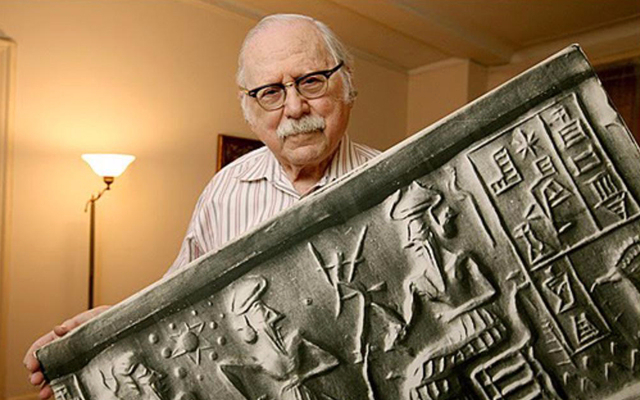 On this Podcast we look at the life and works of Zecharia Sitchin. Sometimes amateur and sometimes professional author, investigator, anthropologist and historian. A man with a new take on the oldest story ever told. With his Earth Chronicles series of books he sought to rewrite the records of humanity as he presented an alternate version of our creation. One in which ancient alien overlords came to Earth and created humans, a hybrid slave race, to do their bidding. A true history that has been hidden by modern society and the signs and messages of ancient civilizations overlooked, or purposely ignored. We’ll follow Sitchin’s life as he moved from Azerbaijan to New York via London and Israel and the exposures, education and employment that guided his path to the search for hidden clues in the texts of the ancients. It was then that he was drawn to do a new translation of the cuneiform tablets of ancient Sumer and found, through his interpretation of these and other texts and religious documents, the narrative of his books of a Prometheus progenitor of mankind. Along with the works of contemporaries like Erich Von Daniken, Immanuel Velikovsky, Graham Hancock, Randall Carlson, Llyod Pye, Anatoly Fomenko and David Icke his writings and lectures have given rise to a new branch of historical research that pioneers a new view in investigating the past. Sitchin’s detailed transcriptions of the Sumerian tablets and other texts links the biblical story of the Nephilim Gods with the Sumerian story of the Annunaki and their home planet Nibiru. Their Adamu race of workers they brought here and that laid the template of our own species. The spaceports and industrial gold mining infrastructure they created and the advancement in humans they cultivated. And of the return of these demi-gods and the absent father figures of the collected faiths of man. We’ll pour over all the cited texts and translations and the man himself as we ponder the science and theory of our very genesis.